Must be 55 years or older to attend. Please call to register! 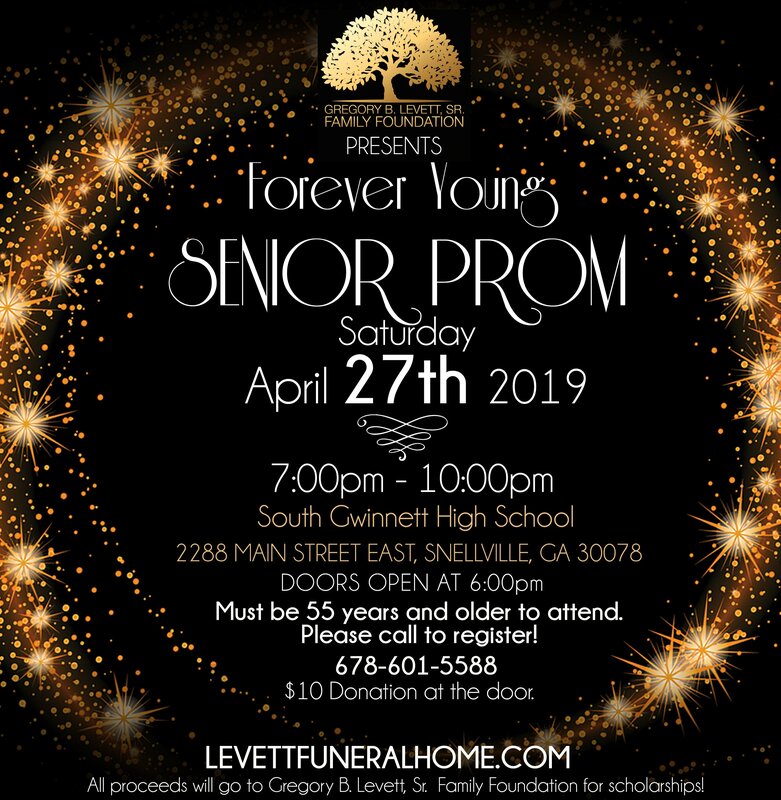 All proceeds will go to the Gregory B. Levett, Sr. Family Foundation for scholarships!